In 1990s Peru, hundreds of thousands of the country’s inhabitants were forcibly sterilised and their outcry silenced. Features editor Georgina Turner tells us about an innovative project addressing this historical injustice. On the 10th December 2015 Dr Matthew Brown and Dr Karen Tucker of the University of Bristol officially launched a project, in association with London’s Chaka Studio, that they have been developing over the last few years. The Quipu Project (or Proyecto Quipu) is an online database of testimonies on the atrocious events that took place in 1990s Peru under President Fujimori. Over the course of the decade, 272,000 women and 21,000 men were sterilised in the country, without their consent. Almost 20 years later, this project amplifies the voices of those who have been repeatedly silenced and denied justice and reparations, and hopes to be a powerful resource, particularly as Fujimori’s daughter, Keiko Fujimori, is currently the favourite to win the Peruvian presidential elections to be held in April. The upcoming elections have provided a platform for the discussion of human rights violations, and the testimonies uploaded onto the website will, it is hoped, be irrefutable evidence of the injustice carried out under a country-wide governmental scheme. 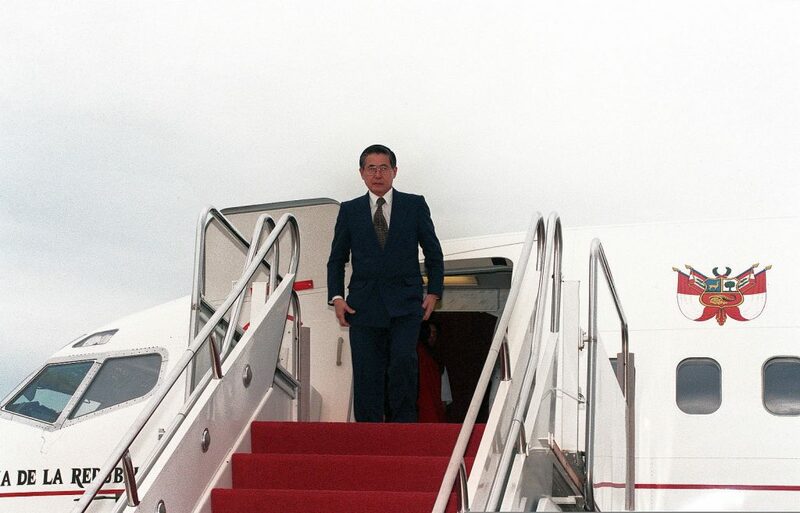 In 1995, Fujimori was the only male head of State to attend the World Conference on Women in Beijing, where he presented himself as a defender of women’s rights. “Poverty has a female face,” he stated in his speech. “Poverty in our countries hits women twice as hard in times of crisis.” He declared that the time had come to abandon schemes that had hindered the full development of women, and to “lay the ground for full citizenship for women, with the same rights and opportunities that already exist for men. No more, no less.” This outcry over gender justice entailed the enforcing of laws that made any violence against women illegal, and a commitment to ensuring that the benefits of the growing national economy were felt by the lower sectors of society, particularly women. During his speech at this conference, Fujimori announced Peru’s then-recent law allowing voluntary vasectomies and fallopian tube ligation as contraceptive methods. This was part of a social development policy for social development and the fight against poverty, “an integral part of family planning” that he claimed would give women the power to control their families and states of poverty with dignity. He claimed that his government would make special efforts to improve the quality of education and to eradicate illiteracy in the country. However, it is now clear that the passing of this law that Fujimori presented as something that would empower women was in fact used to do precisely the opposite. Hospitals and doctors were given target numbers of sterilisations, and it has become apparent that this led to an alarming number of forced sterilisations. Many were carried out against the will of those undergoing the operation so that the doctors would meet their quotas. The results are horrific. Many of the women who were victims of this policy in the 1990s still complain of physical pain and discomfort, and for many the psychological and social impact has been even worse. Some have struggled to regain their original roles within their communities. Many feel they have been tricked and resent the complete lack of justice surrounding the circumstances. There are accounts of husbands disowning their wives who can no longer bear their children. The forced sterilisations were largely carried out in remote, rural communities, often where the first language is not Spanish, so the victims were more easily manipulated by the surrounding hospitals. Typically, these are Peruvians that possess little or no power and standing in society, so their stories have never before been heard at a national level, meaning the majority of Peruvians knew nothing about it. Even now, their voices are rarely heard and the government has still not acknowledged their claims, or indeed done anything to provide reparations for them. The Quipu Project is a platform for these people to share their stories. Anybody can upload their story directly onto the international site by simply connecting to the phone line from any basic telephone. Once connected, there is the option to record a testimony, listen to another testimony or to record a reaction to one of the testimonies or the sterilisations in general. Some of the testimonies uploaded are in Quechua, the indigenous language of the Andes, but all of the testimonies are translated into English, thereby eliminating the language barrier that was exploited at the time of the sterilisations. Another benefit of this translation is that the voices of these victims can be heard by a wide audience. It is a powerful tool. By creating an online collection of testimonies that is easily accessible to even the most remote of communities, it reassures the victims that they are not alone. Within Peru’s Andean communities – where the culture of sharing is so strong – the project can perhaps provide some comfort to the victims. In the context of Peru’s upcoming general election, the project could be more powerful still. President Fujimori is currently in jail for other human rights violations committed during his presidency, but not for the sterilisations. His daughter, leading the presidential race for April’s election, promises that should she be elected, she will ensure her father’s release from prison. As such, perhaps the testimonies uploaded via the Quipu Project could help strengthen the fight against her attempt. The Quipu Project is important and potentially very influential. Any of us can contribute to it by uploading a reaction to the testimonies, making a donation, becoming a volunteer or signing Amnesty International’s petition. Visit quipu-project.com and learn more about these women whose stories have been swept aside for decades. How did you first learn about the sterilisations in Peru? During my Year Abroad (Spanish + History, Edinburgh) I worked for AI in Lima. This was 96-97. I mixed in human rights circles, and was aware of some of the rumours. It was only in the 2000s, when I was in the UK doing a PhD at UCL, that the news started to become clearer, and human rights advocates – including those we are working with on Quipu – started launching legal cases. Have you had any feedback from the women who have already uploaded testimonies? How has it impacted upon them? Yes. Many of them came to the Quipu launch in Lima the same day as our Bristol launch. They are delighted that people are listening to the testimonies around the world, but keen that this is the beginning of a process of consciousness-raising, rather than the end. Since the project’s launch, has there been any reaction to it in Peru? It’s been positive so far. We were featured on TV Peru Noticias, and there was a spread about the project in La Republica, one of the main serious newspapers. http://larepublica.pe/impresa/sociedad/727276-historias-para-la-memoria. But we are just getting going, and hope to draw as many people’s attention to it as possible!